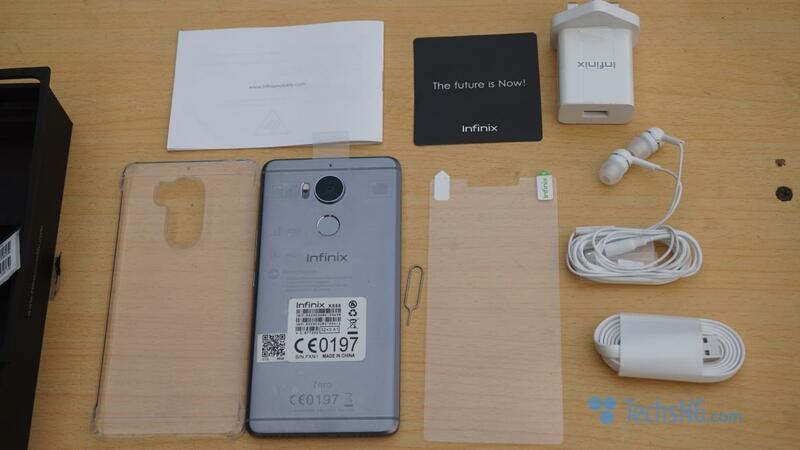 Home » Reviews » Smartphones » Infinix Zero 4 Unboxing and Quick Hands-On Review! 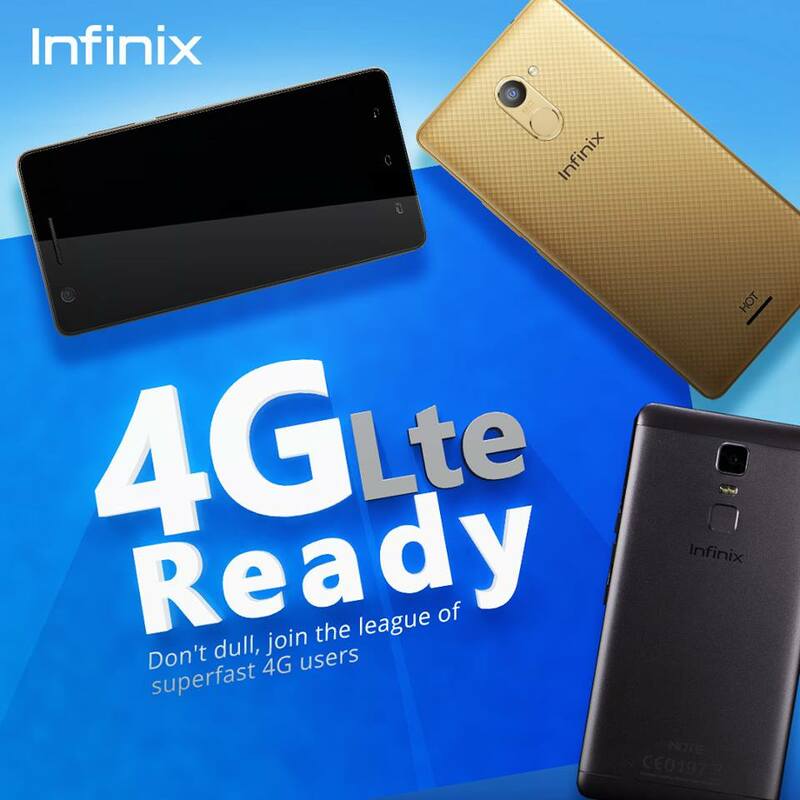 Yesterday, infinix launched it’s flagship smartphones for the year 2016 – the infinix Zero 4 and Zero 4 Plus. 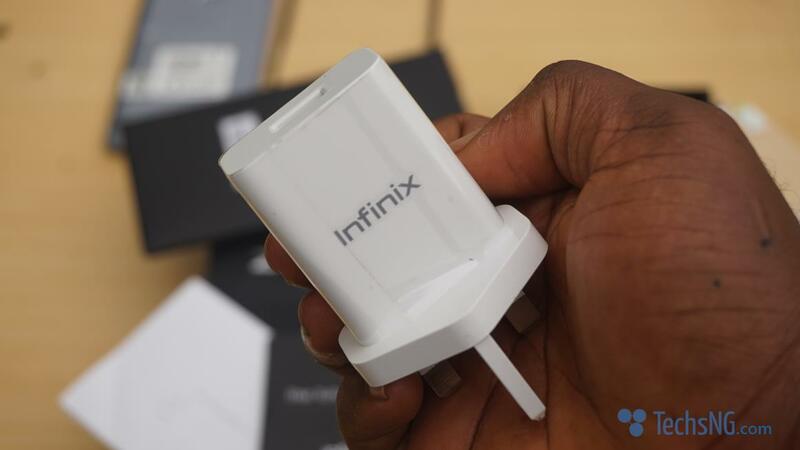 I got the Infinix Zero 4 Unit and as usual, I didn’t waste much time before tearing apart those packaging nylons. 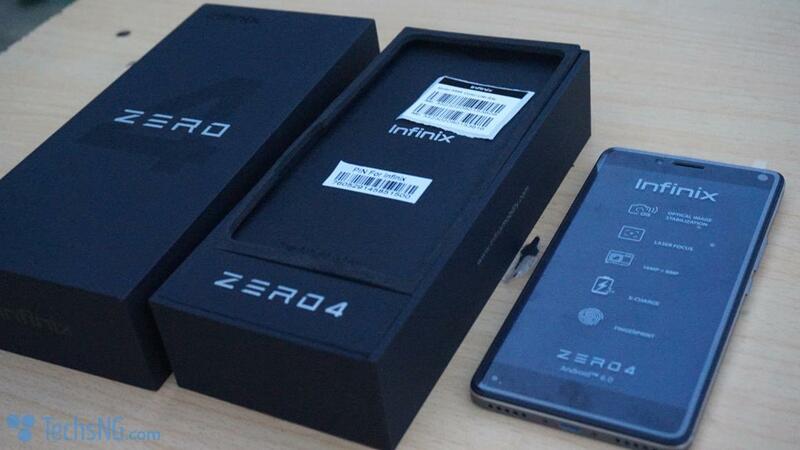 As a not-so-regular tradition, I have put up a video where I unboxed the infinix Zero 4 x555 smartphone. 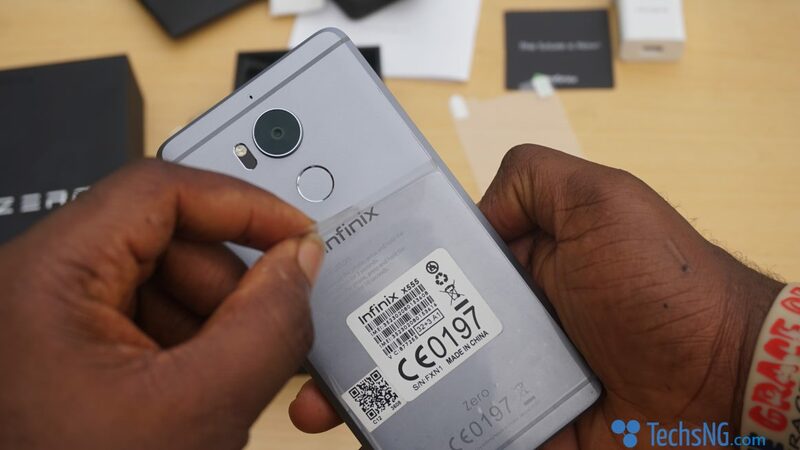 If you rather prefer images with some texts, let’s get started with unboxing the new flagship device. First of, I’d like to correct something. 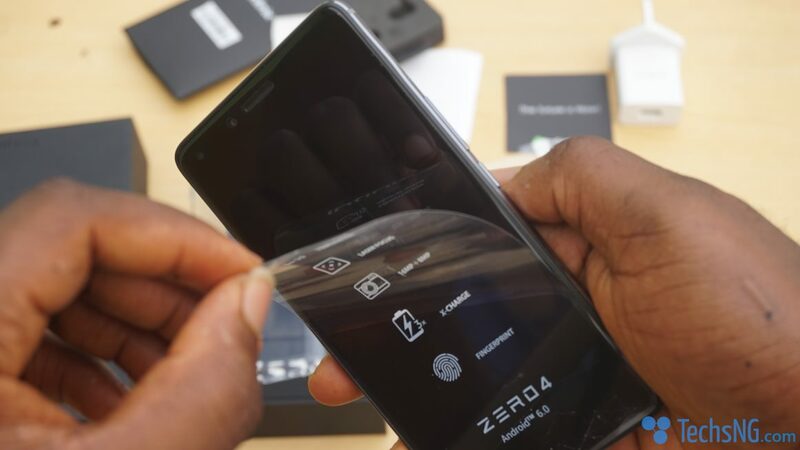 Looking through the specs-sheet of the smartphone on most blogs online, it states the Zero 4 is powered by a Helio X20 chip. 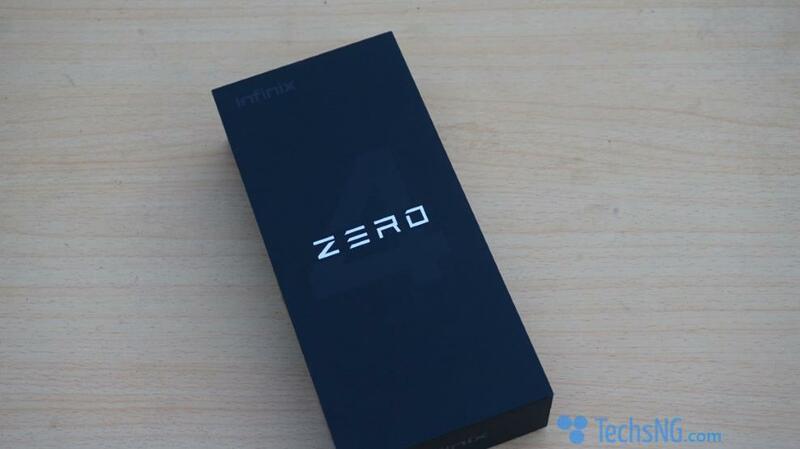 Truth is, the Zero 4 is actually powered by a MediaTek MT6753 Octo-core processor clocked at 1.3 GHz. Not Helio X20. Having said that, let’s move on with the unboxing. 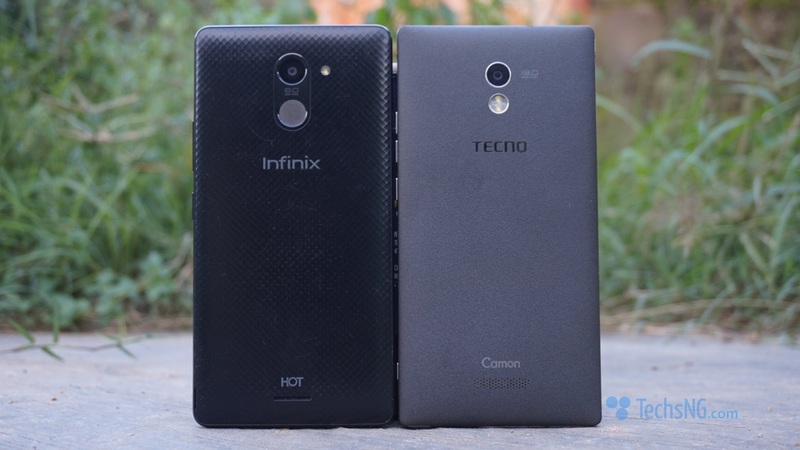 Unlike other smartphones in the Zero series, infinix has probably decided to go Lite with the Zero series pack. Comparing the pack size with the Hot 4 x557 pack, they are both of same width and length. 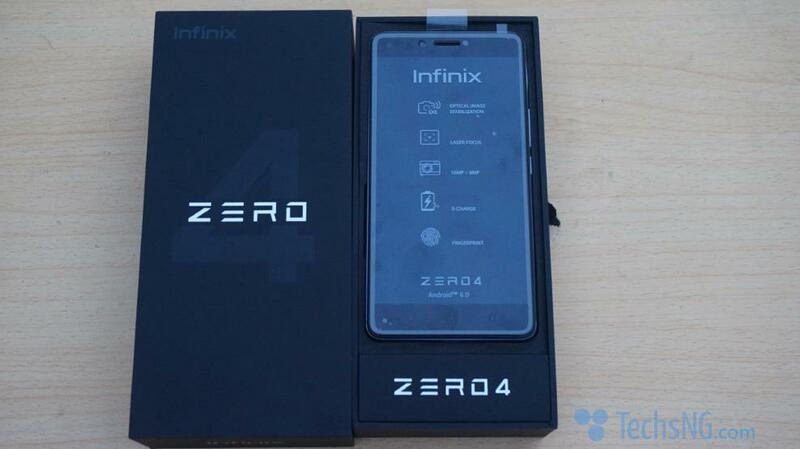 Opening the pack, the first thing that graces your eyes is the infinix Zero 4 smartphone. Awww! Here, I have the Lilac Gray color variant and really, it looks beautiful! Now, let’s take that to the side. 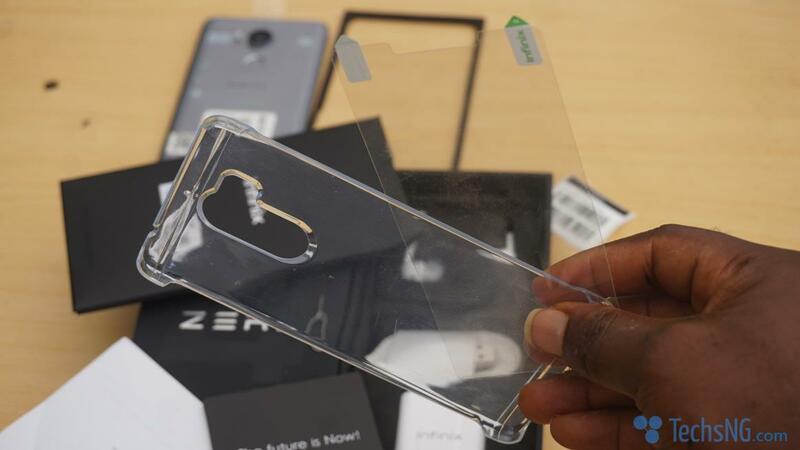 Digging deeper, you have a smaller package which houses the user manual, a screen protector (not glass), ejector pin and a small leaflet stating the box content. 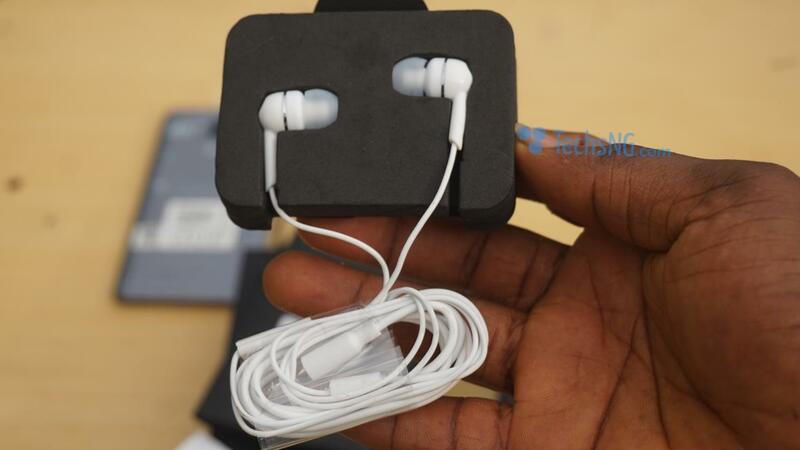 Taking those out of the way, you’d find a plastic protective casing. 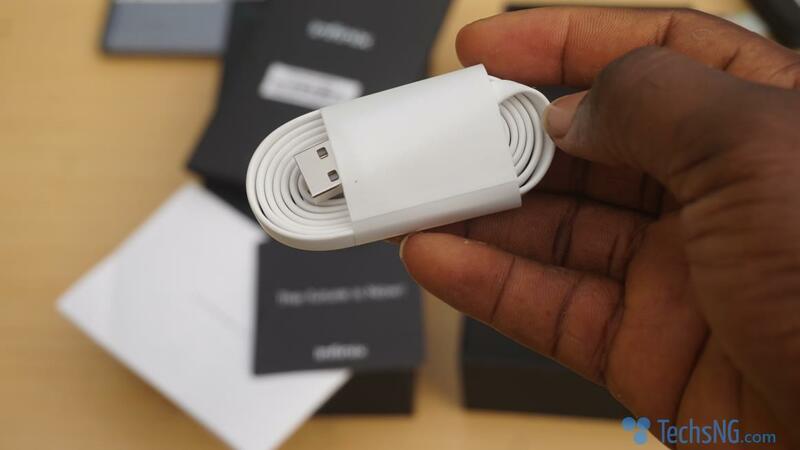 Going deeper, you’d find the usual suspects – The Charger, Ear-phone and the USB cord. That’s basically everything that comes with the device. First, let’s take off the protective nylons. 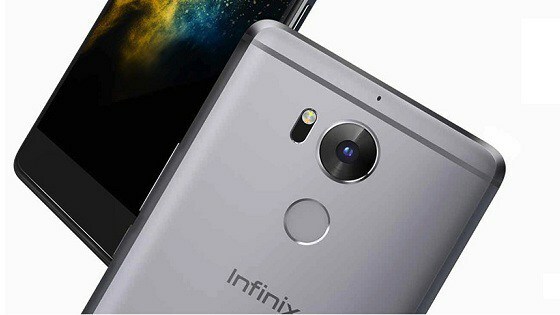 The infinix Zero 4 is a beauty to behold. However, the design looks quite similar. 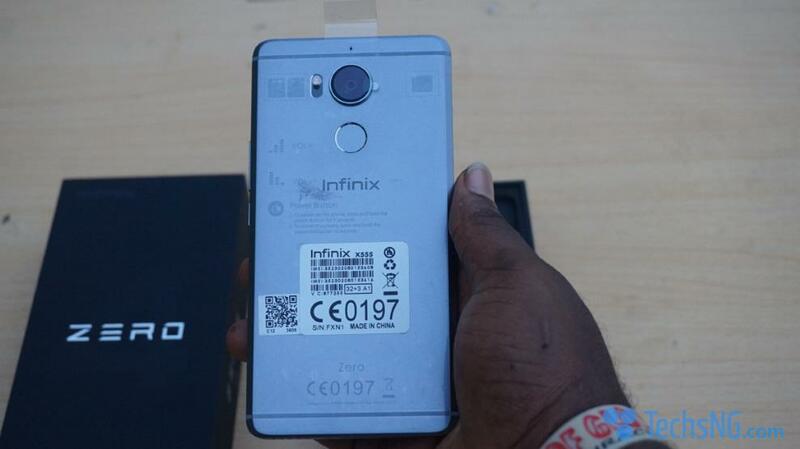 Of course, not to anything infinix has ever launched. On the left side, you have no buttons. 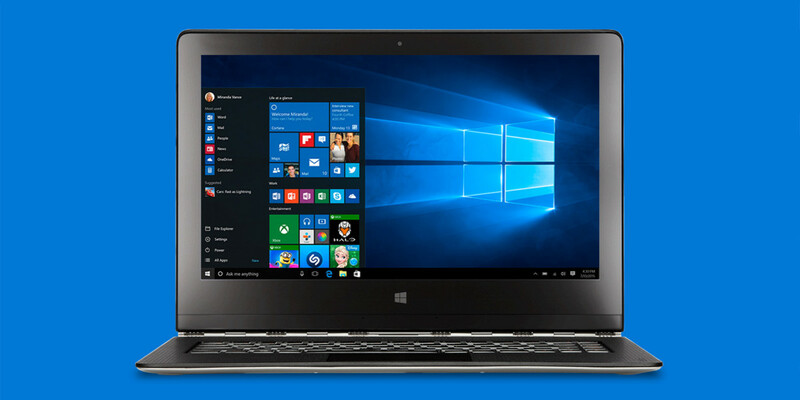 Except for the MicroSD card tray. 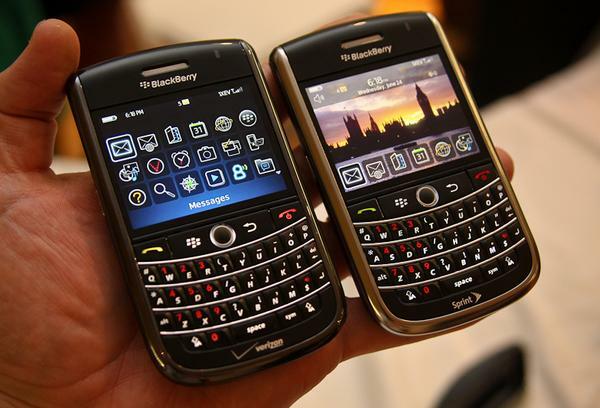 On the right side, you have the volume buttons and power buttons. 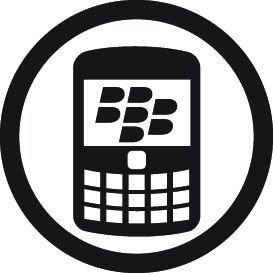 The SIM tray is also present at the right side of the device. 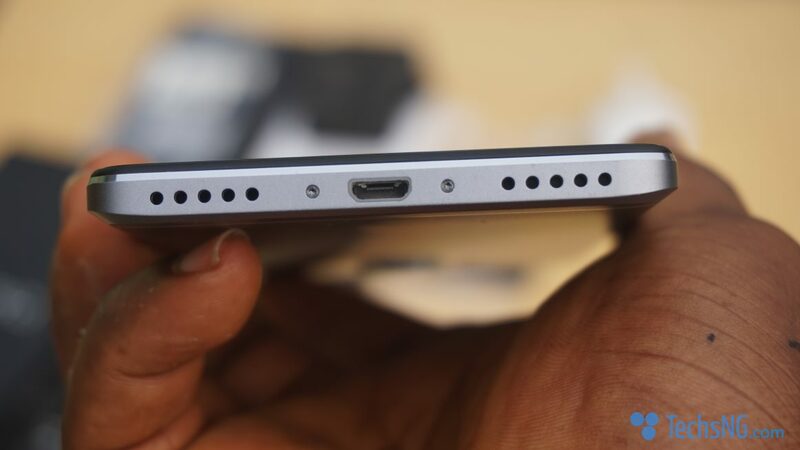 At the bottom is the charging port, loud speakers and microphone. 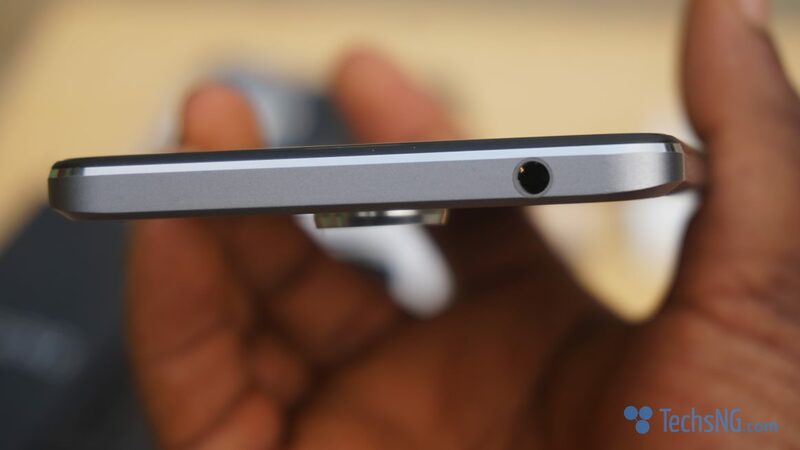 At the top, you have the 3.5mm jack and nothing more. 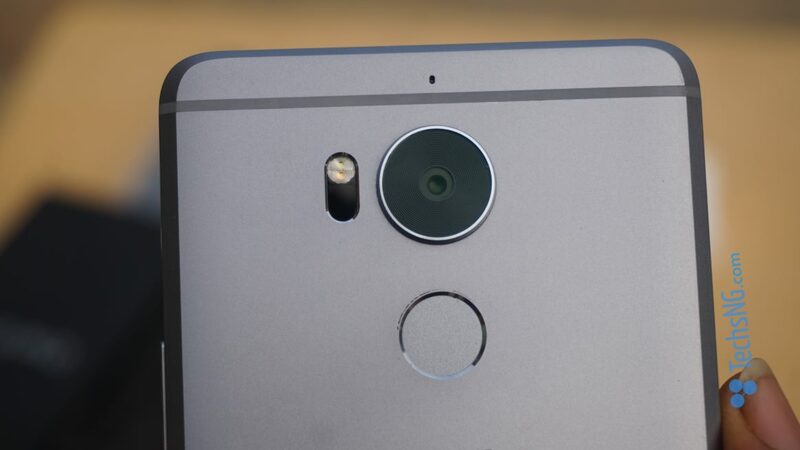 The back houses the flash, the camera and the fingerprint sensor. Of course, branding falls here. As earlier mentioned, I really do love the design. 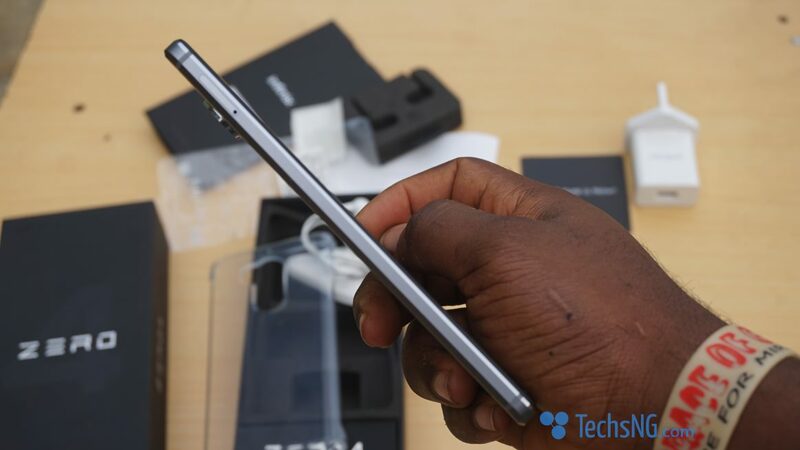 You get that all aluminum design thus giving it a premium feel. 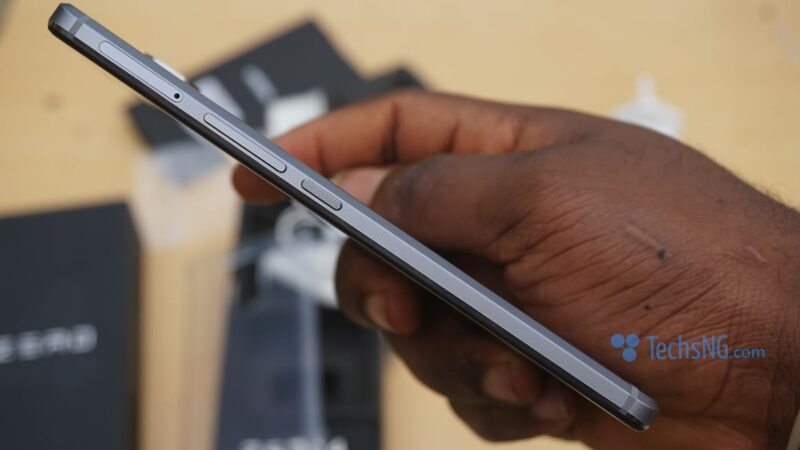 The front features 2.5 curve display. If you own an iPhone 6 upwards, you should get a better idea of the display design. However, there is a con in the design. You probably may have noticed it in the above images. I am actually making reference to the camera bump. Although not so much of a big deal, details just needs to be put in place. 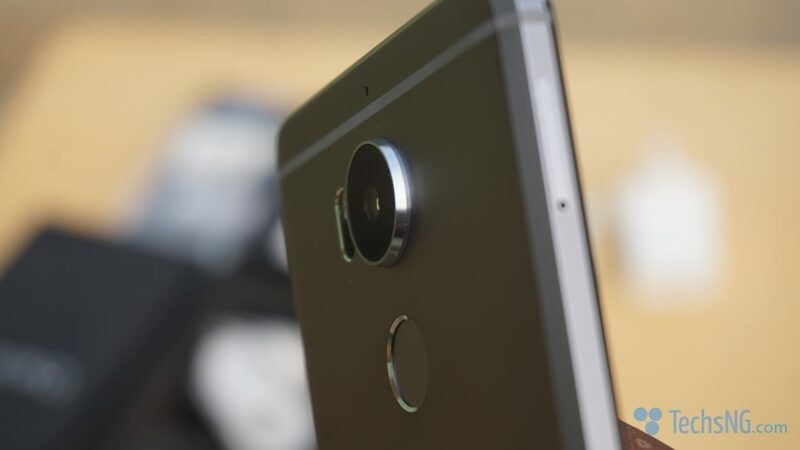 Of course, this is just an unboxing and a quick hands-on review. 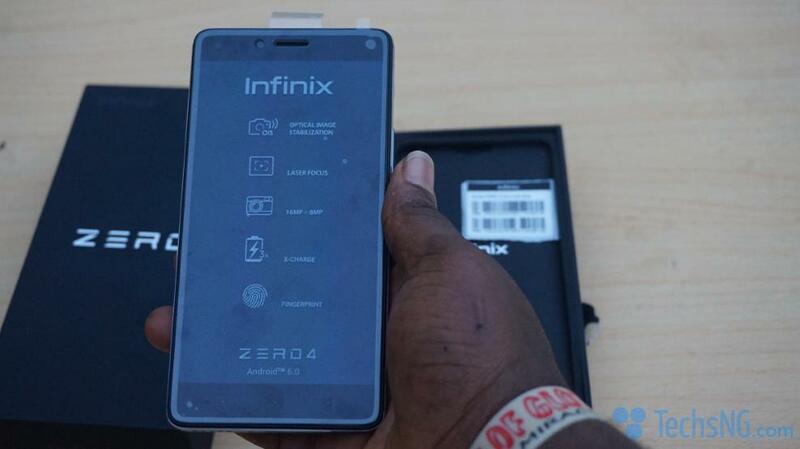 A detailed review of the Infinix Zero 4 smartphone should be published in a few days. Stay tuned! Looks really elegant to me. Please, I am expecting a full review. Thank you.